“The Real McCoy” is a phrase you have probably heard at some point in your life, but do you know the man behind the legend? 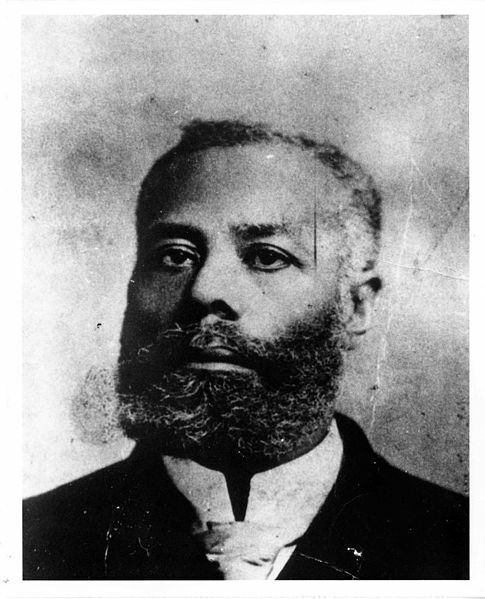 Meet renowned inventor Elijah McCoy. Elijah was born in 1844, the son of formerly enslaved Blacks who escaped from Kentucky to Canada by way of the Underground Railroad. Educated in segregated Canadian schools, Elijah quickly realized he had a knack for science and math. At an early age, he enjoyed tinkering with machines as well as taking things apart and rebuilding them. Though he was one of 12 kids, Elijah’s parents recognized his promise and supported him in traveling to Scotland to study mechanical engineering at age 15. After the Civil War, Elijah was determined to move to the United States with his family to pursue a career in mechanical engineering. To his dismay, all the available engineering jobs were reserved for white men despite being equally qualified. Out of necessity, Elijah took a position as a fireman (one who adds coal to a train engine) and as an oiler (one who greased a train’s engine and gears) for Michigan Central Railroad. Although these were menial jobs relative to his qualifications, they would later become the inspiration for Elijah’s revolutionary inventions. Dissatisfied with the fact that locomotives required frequent stops to oil its parts, Elijah drew on his engineering background to think through ways to improve this process. To address this issue, he invented and patented a lubricating cup that continuously distributed oil evenly over the engine’s moving parts. His invention reinvented locomotive travel by allowing trains to run for long periods of time without needing to stop for maintenance. Elijah’s invention gave birth to the name “The Real McCoy” to distinguish from all the imitation lubricating cups that popped up following his success. The moniker came to mean “the real deal” and denoted authenticity and originality to all those who were looking to purchase one of these products. While his invention continues to be used in trains to this day, it is his name that has become a cultural mainstay. From childhood tinkering to 57 patents, Elijah McCoy became the most prolific Black inventor of his time even gaining the respect of notable public figures like Booker T. Washington for his remarkable output. Elijah’s journey reveals the age-old adage that it’s not always about where you start, but where you end up that matters in life. Though he did not get the engineering job he initially wanted, he transformed the opportunities he was given into a career he never imagined possible. Many people are in jobs that they do not want to be in and are not sure if they are truly walking in their purpose. Elijah McCoy is an example of how we can make the best of our situations by learning a business, finding a niche and way to improve it, and then creating a solution by starting our own enterprise. Elijah never let his current situation dictate the ways in which he utilized his talents and brought value to an industry he was undoubtedly passionate about.